A water based transparent permanent nano anti-graffiti coating used on porous surfaces. Gives the surface hydro- and oleophobic properties. Which makes graffiti easy to remove. 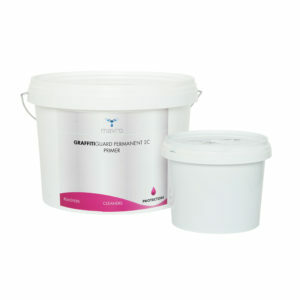 A 2-component permanent anti-graffiti polyurethane coating. The coating can be used on porous and non-porous surfaces. The coating is durable and makes the graffiti easy to remove. 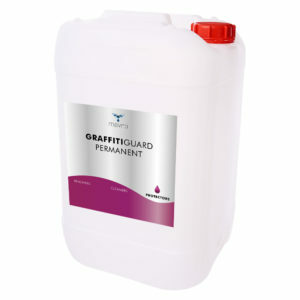 A transparent water based epoxy primer for GRAFFITIGUARD PERMANENT 2C. the primer can be used on porous surfaces.